The chart could be completed on the day it was posted on this challenge. 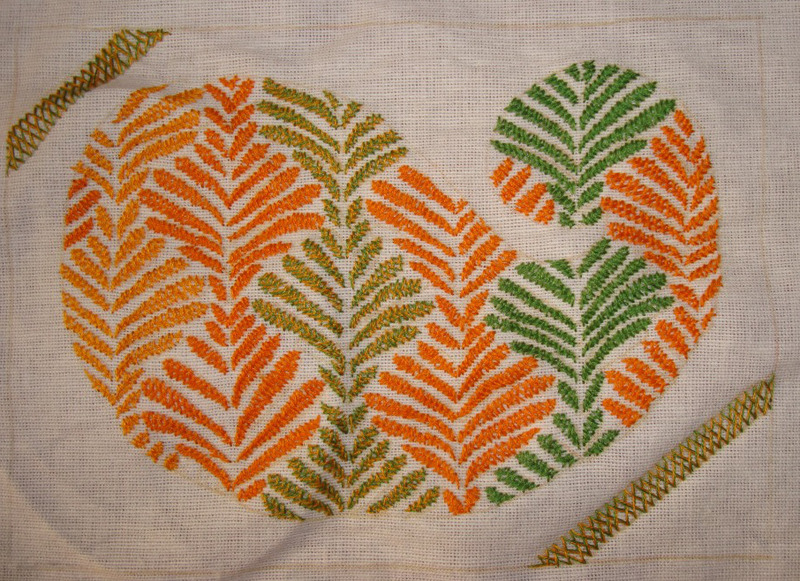 I am yet to post the samples of fern stitch worked during earlier TAST challenge on FB group. This week we have another stitch -buttonhole wheel cup. I just posted the sampler on FB. 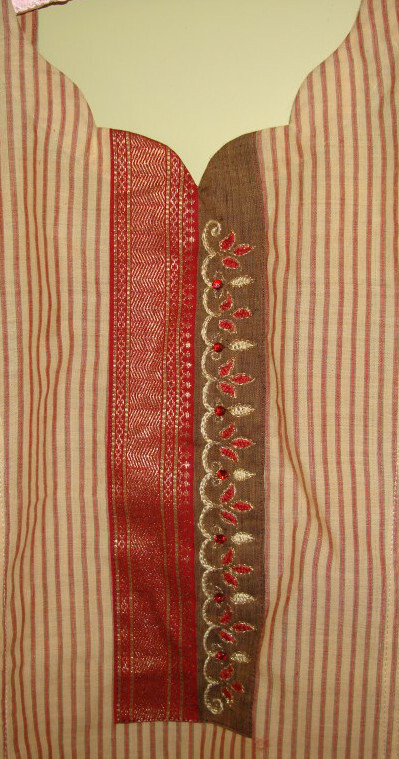 The border on this tunic is woven with metallic yarn. It came back half sewn from the tailor, for working the embroidery. After tracing the pattern, I started the chain stitch outlines with gold metallic thread. A paisley pattern was also traced on this tunic front. After the Dubai, I was itching to do some simple embroidery on light weight fabric. 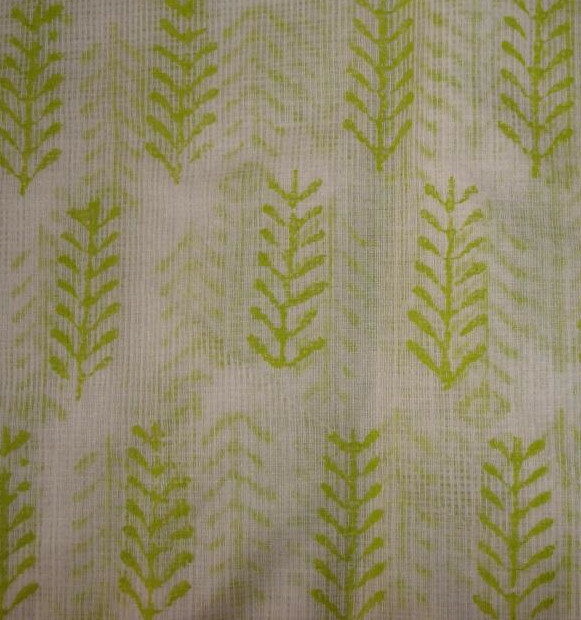 This white cotton kota fabric with block prints in green is ideal. Pattern is drawn. Have to start the work. 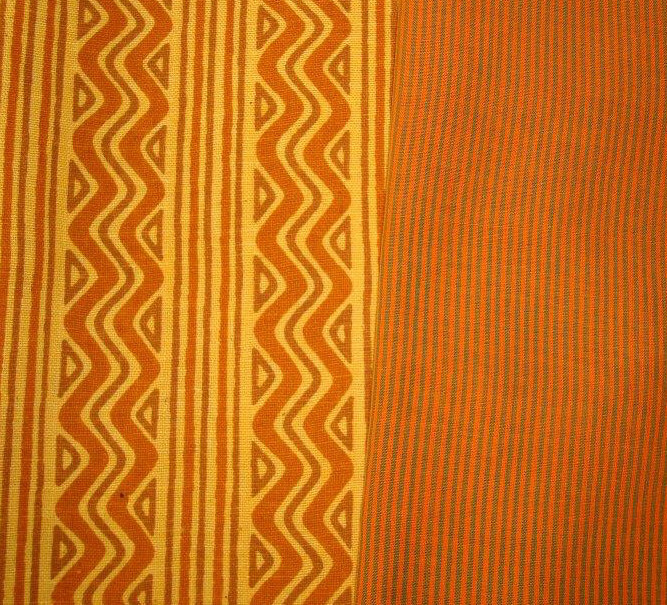 These two fabrics are cotton, one has stripes and the other one has prints. 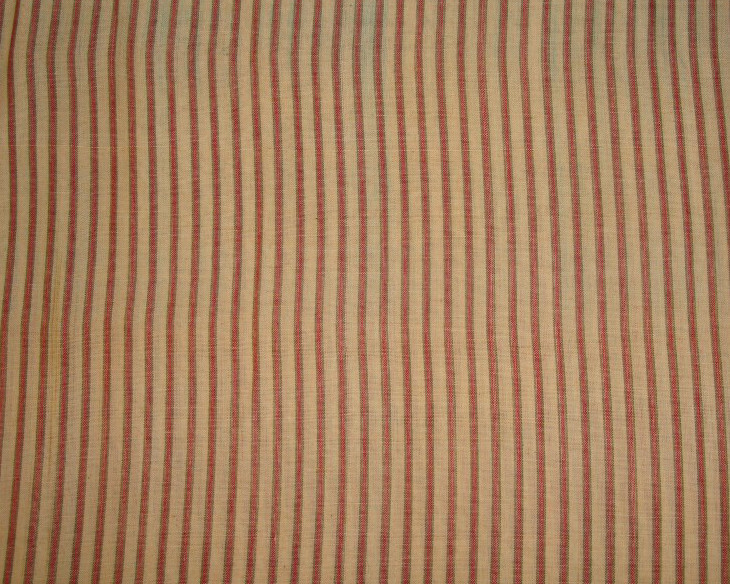 The printed fabric will be the front of the tunic and the striped fabric will decorate the back. Pattern drawing for embroidery is in progress. 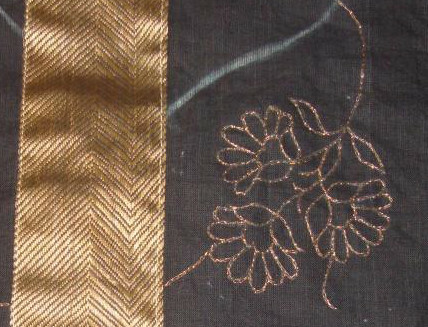 This is for a simple Indian ethnic embroidery. While browsing the pinterest yesterday. 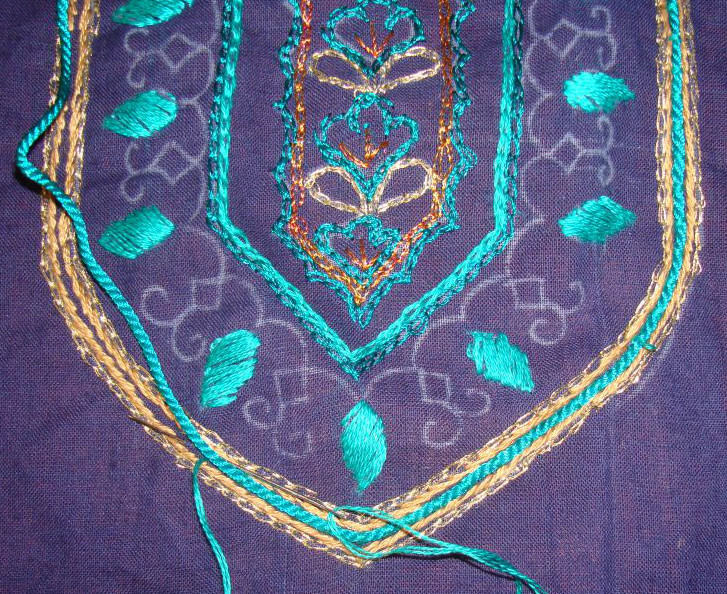 I was ensnared by Maarash embroidery from Armenia. 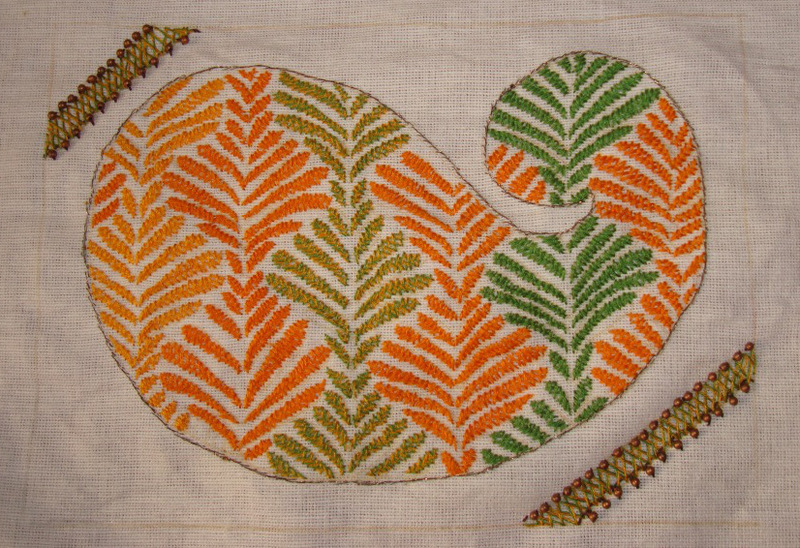 This is similar to kutchwork. Eager to study this work more. After working the last few samples the fancy bobbin edging sampler was completed. 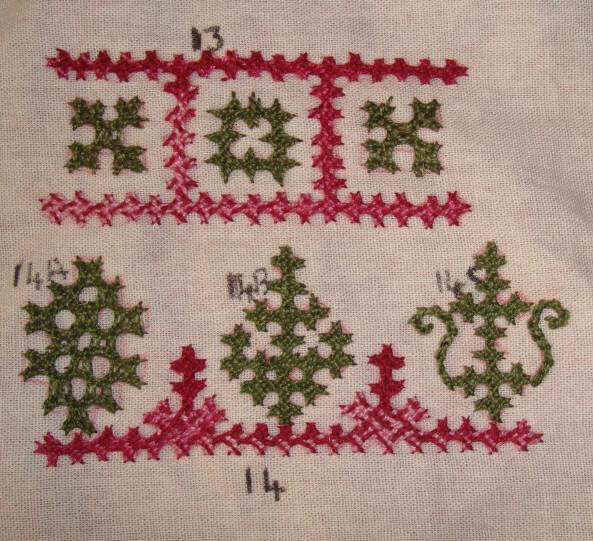 This sample was worked with basic buttonhole stitch rows. It was enhanced with fancy bobbin edging. 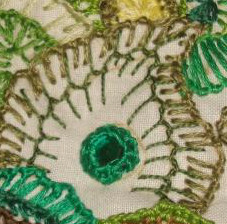 This sample is filled with freely worked fancy bobbin edging stitches. 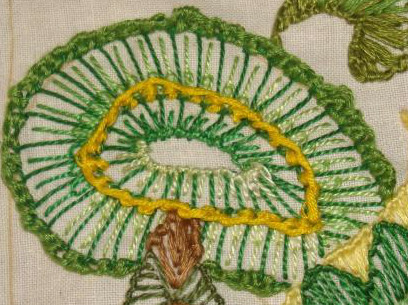 A variation of buttonhole stitches with fancy bobbin edging are worked on this sample. Bugle beads are used in this sample. 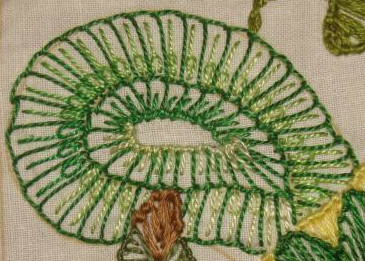 In this sample after working buttonhole variations, the green stone is embellished with one row of detached fancy bobbin edging worked over back stitch. This embellishing the stone idea was seen in Mary’s needle n thread site in one of her projects. I used a stone with holes which can be attached to the fabric before working the stitch. Sometimes it was interesting and stimulating, but at other times it was also demanding and draining. I used #7 crewel needle and chenille needle. The threads were taken from the used pile. With a very small stash of perle cotton or other kind of threads, I mainly use stranded cotton. On the whole it was an interesting project to work. 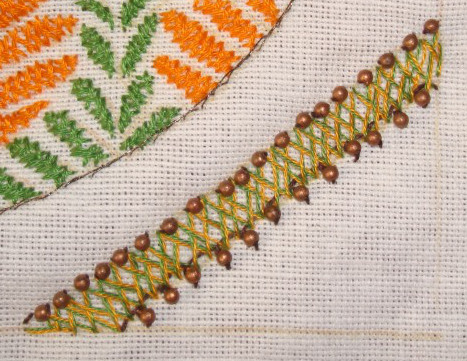 Most of this week I was working on the kutch work borders. The samples were small, but taking pictures of and posting the work in progress took three days. For more details see here. I did the couching of polyester thread on blue/green crepe tunic.actually this could have been tried after working the pink crepe too, still I wanted to see whether the thread would go well with the whole embroidery, which it did! 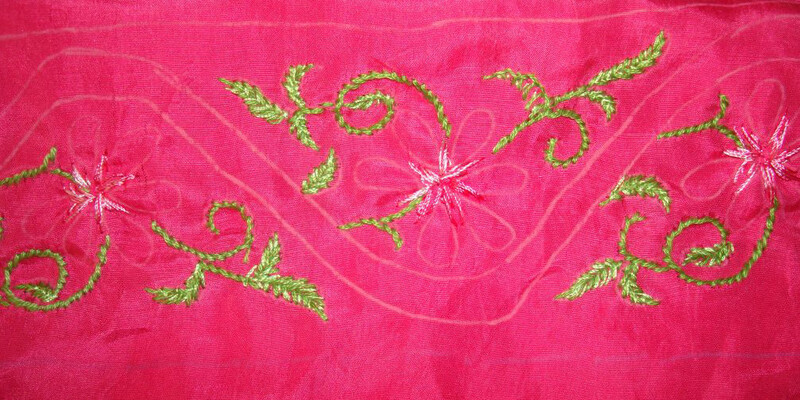 The embroidery on pink crepe is progressing very slowly. The pattern is for the front and sleeves. 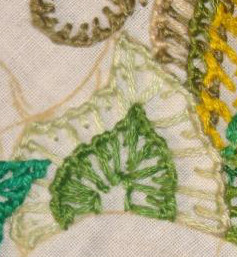 Some stem stitches were worked in the same green thread and some straight stitches in fine silk variegated thread are started on flowers. We visited the Muscat festival again this weekend. I also took some pictures of embroidery from Uzbekistan and Thailand, which I will share as soon as possible. The paisley designs are associated with mango in Indian tradition. They are called as mango in all languages and not paisley here. While starting this design, the idea of mango was predominant in my mind. 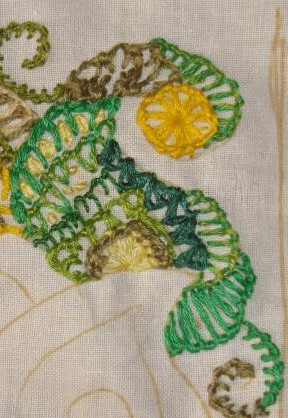 With the same idea, the last filling was done in yellow, 304, anchor stranded cotton. 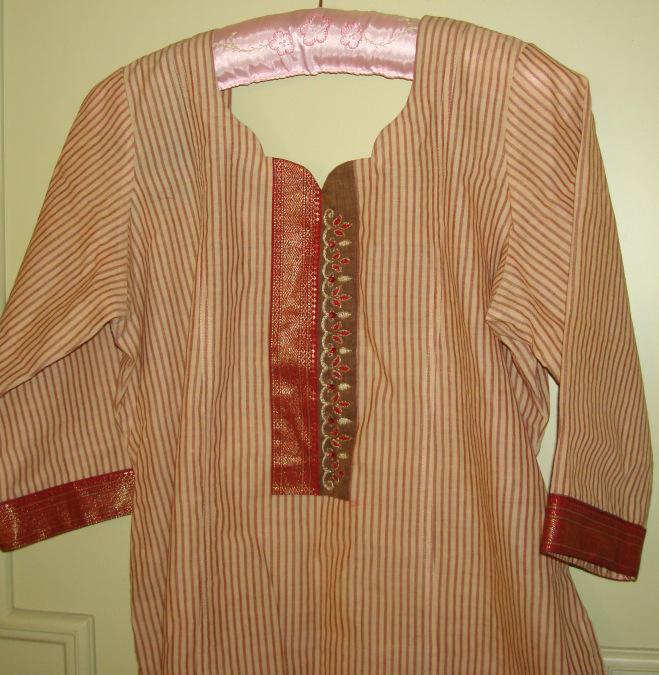 It was not practical to work this design – while taking an online class, TAST catching up and embroidery on tunic. still I enjoyed working on this.Having said that, it seems the impracticality continues on my next TAST stitch too. Al least, we cannot forget the lesson of time taken for each project, this took me 11.5 hours [not continues of course]. I may use this piece on a bag.